Welcome to the Rec-Mat Project! We do believe RECognition MATters and our main goal is promoting student exchange between Europe and Latin America. Get to know more about the project! The main objective of the Rec-Mat (Recognition Matters) project, a Key Action 2 Capacity Building funded by the Erasmus+ programme, is to contribute to facilitate and promote student exchange between Europe and Latin America. To achieve this, it is crucial to reduce the barriers to mobility related to the process of academic recognition and enable Latin America Higher Education Institutions to implement a fairer academic recognition process. Five European partners (Universidade do Porto, Universidad de Valladolid, Université de Lille, Universiteit Gent andthe SGroup European Universities’ Network) and five institutions from Latin America (Universidade Estadual Paulista Julio de Mesquita Filho, Universidade Federal do Rio de Janeiro, Universidade Federal do Rio Grand do Sul, Universidad Nacional del Sur and Universidad Nacional del Litoral) are leading the project. Rec-Mat is based on the vast experience of partners in the Latin America region, and the challenges identified over time, in relation to different Educational Systems, principles, practices and tools to support of academic recognition. It brings proven innovation through its activities, linking the political and practical dimensions inherent to the recognition of academic training during student mobility (teaching staff training activities, piloting of case studies and policy debate activities). Rec-Mat’s methodology is also original in the proposed target audiences and actors involved: not only the International Relations and Academic departments, but also professors (coordinators and programme directors), authorities identified as key decision makers in the process of recognition, as well as IT technical staff involved in developing support tools and information systems. 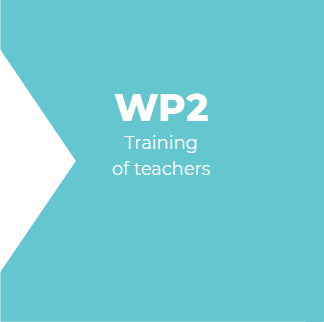 Through the project’s implementation, partners also intend to raise awareness among teaching staff for the importance of full academic recognition as well as for the relevance of Higher Education Institutions internationalisation, through a peer approach. 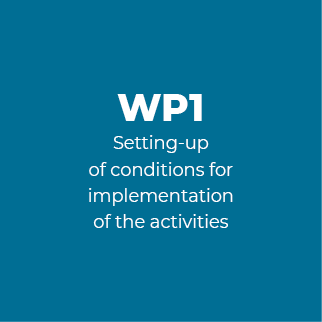 These objectives will be achieved through project activities, such as the Rec-Mat blended training with a physical and online component (MOOC), which aims to bring together Latin American professors (who are ‘resistant' to the reality of international mobility and distant from the bologna rationale) with more experienced and ‘pro-internationalisation’ colleagues of its institutions, as well as of the European partners. To contribute to facilitate and promote student exchange between Europe and Latin America by reducing the barriers to mobility related to the process of academic recognition and capacitating Latin American HEIs to implement a fairer academic recognition process. highlighting the benefits of internationalisation and full recognition through a peer-to-peer approach, i.e involving mainly academic staff and not only International Officers. To capacitate and provide information to LA Academic and IT staff on concrete ways to facilitate the implementation of a full recognition process. To contribute to facilitate the harmonization of academic recognition processes between LA institutions. * The collected personal data (name, email address, institution and country) will be only used for this project’s dissemination purposes. The communication of personal data is a legal and contractual obligation and it is a necessary requirement, therefore, refusal to provide it makes it impossible for the registration process. Personal data is used for the dissemination purposes of the project. The data will be kept as needed for the purposes indicated. The consortium of the Rec-Mat project will gather for the third time on the 11 and 12 April 2019 in Belém, Brazil. 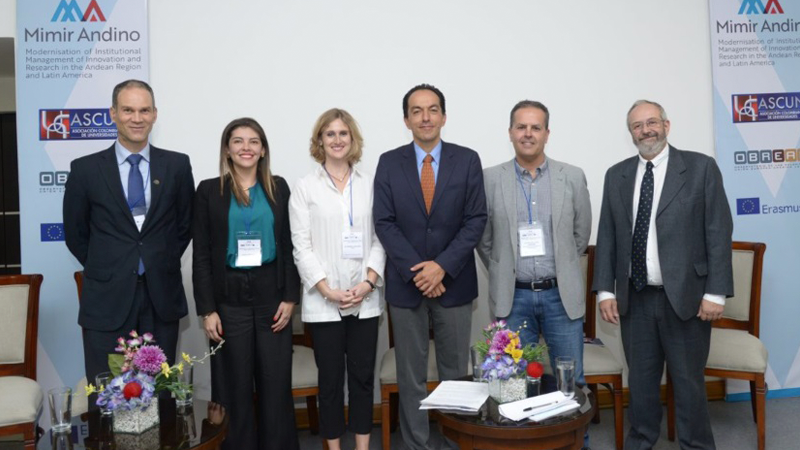 The State University of Pará will receive representatives from all partner institutions to review and analyse the activities carried out during the first phase of project implementation, and to discuss the main objectives to be achieved in the upcoming months. After the second gathering, in Buenos Aires, the beautiful city of Belém was choose for a very special reason: the consortium meeting will precede the Second Forum on Academic Recognition, to be held in the venue of FAUBAI conference on the 13 April, and the session on “Academic Recognition – Why to Recognize?” on the 15. 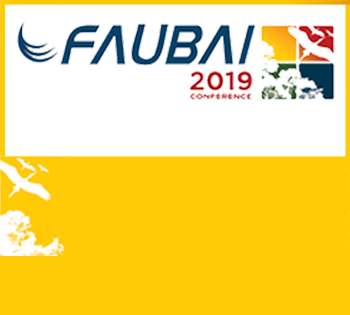 The 2nd Public Forum of Rec-Mat will take place on the 13th of April at the FAUBAI 2019 Conference Venue - Hangar Convenções & Feiras da Amazônia - in Belém, Brazil. Through the involvement of authorities and expert speakers, the Forum aims at fostering discussion and sharing the project’s methodology and good practices in the field of academic recognition of mobility in Higher Education, between Latin America and Europe. 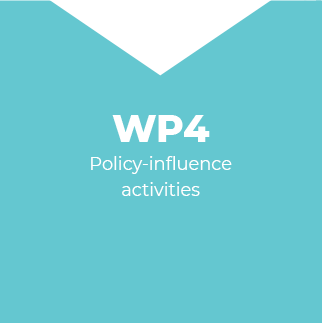 Institutions, policy-makers as well as other relevant stakeholders are already confirmed. 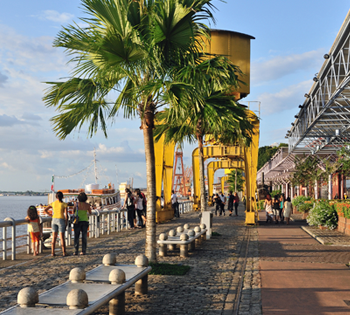 The breath-taking city of Belém, Brazil, will host the annual conference of the Brazilian Association for International Education, from 13 to 17 April 2019, at the “Hangar Convenções & Feiras da Amazônia” venue. This international event gathers partners and key stakeholders from worldwide HEIs and relevant institutions. The Rec-Mat consortium will take part on this this global meeting, by holding a session named “Academic Recognition Matters: Why to Recognize?” on Monday, 15 April, from 11:30 to 13:00, at room 3. The focus will be on the importance of full academic recognition of mobility in Higher Education between Europe and Latin America. The session will be led by Bárbara Costa, Director of the International Office of the University of Porto and Coordinator of the Rec-Mat Project. The Rec-Mat consortium was represented, through the Federal University of Rio Grande do Sul, at the kick-off meeting of the Mimir Andino (Modernization of the institutional management of Innovation and Research in the Andean region and Latin America) project in Bogotá, Colombia. The event was held in Bogota on the 22 and 23 January 2019, with the presence of the Directing Council of the Colombian Association of Universities, ASCUN (coordinator of the Mimir Andino project), the EU Ambassador in Colombia, and more than 140 national and international guests. Dr. Nicolás Mailard, from the Federal University of Rio Grande do Sul, represented the Rec-Mat project on a panel denominated “Mimir Andino to strengthen synergies between Erasmus+ projects in Latin America”. 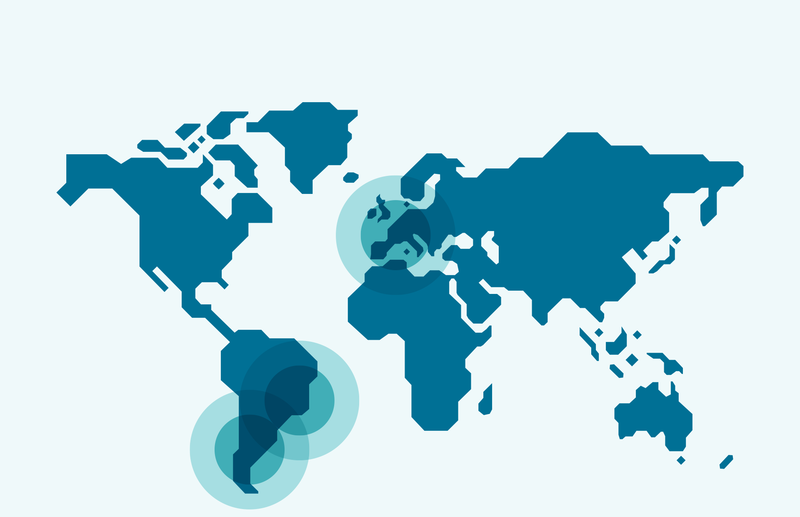 The Mimir Andino project brings together initiatives from Colombia, Chile, Peru, Sweden, Italy and Spain, with the support of the European Union-Latin America Observatory, OBREAL. 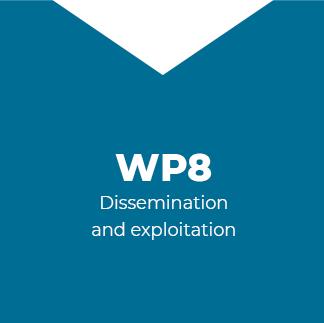 It aims to have a structural impact on the research and innovation system of partner countries in South America with different levels of development, addressing national, regional and institutional priorities. From the 10th to the 14th December 2018, teachers from partner Higher Education Institutions met at the University of Valladolid to share their experiences and knowledge about academic recognition. The Rec-Mat staff training week at the University of Valladolid, which happened from the 10th to the 14th December 2018, focused on the impact of mobility and recognition in students, teachers and institutions in Europe and Latin America. 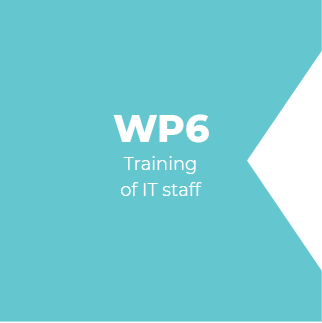 Fifty participants were chosen to integrate the programme. 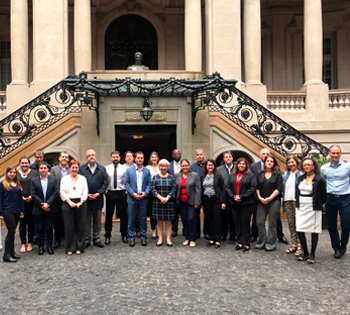 Institutions from Argentina (Universidad Nacional del Litoral and Universidad Nacional del Sur) and Brazil (Universidade Federal do Rio Grande do Sul, Universidade Federal do Rio de Janeiro and Universidade Estadual Paulista) represented Latin American partners. From Europe, experts from Belgium (Universiteit Gent), France (Université de Lille), Portugal (Universidade do Porto) and Spain (Universidad de Valladolid) also participated. After the training week, an evaluation survey was sent to participants, gathering a positive feedback from different institutions. 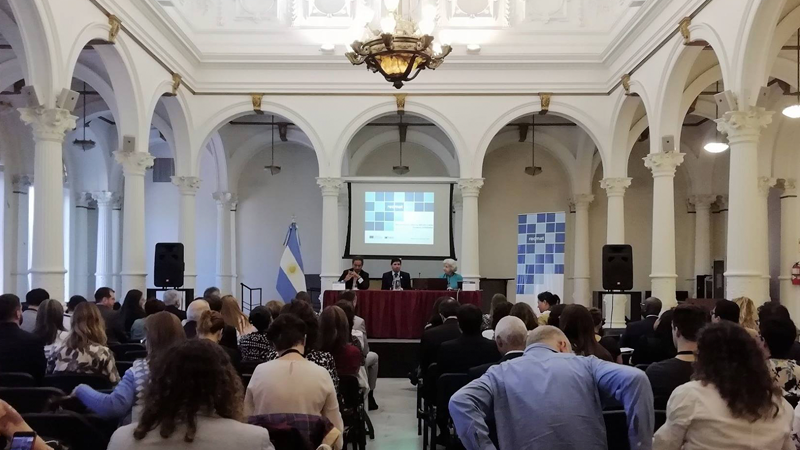 The first Public Forum on Academic Recognition took place in Buenos Aires, Argentina, on the 14th November 2018. An engaging discussion about the Rec-Mat project and an active participation of policy makers in Latin America were the main achievements of the meeting. The historic “Pizzurno Palace”, in Buenos Aires, was the stage of the first Public Forum of the Rec-Mat project, held on the 14th November. 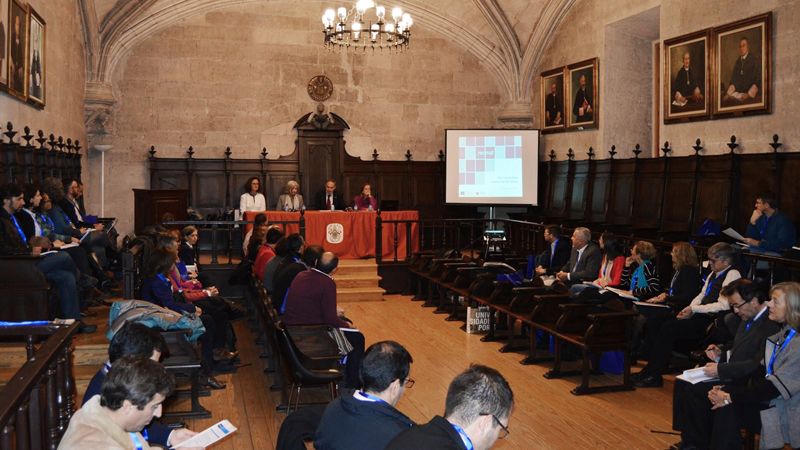 The meeting gathered more than 100 participants from European and Latin America Higher Education Institutions, focusing on academic recognition and cooperation between both regions. 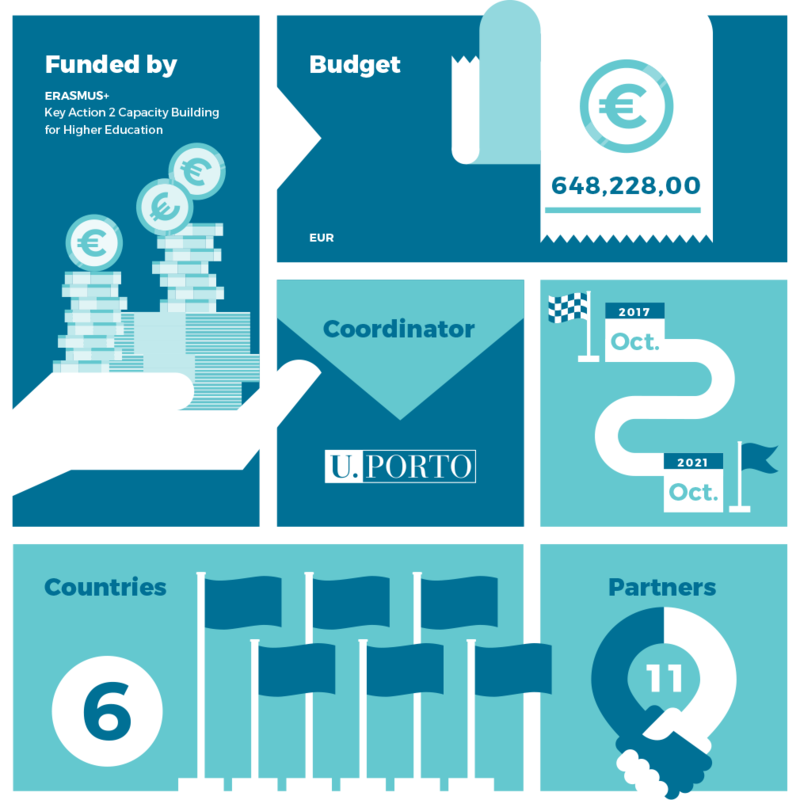 The University of Porto, as the project coordinator, was the main organizer partner. Maria de Lurdes Fernandes, Vice-Rector for Education, Academic Affairs and International Cooperation of the University of Porto, led the sessions and encouraged the discussion among participants. The Portuguese Ambassador to Argentina, João de Almeida, and Mónica Marquina, representative of the Argentinian Ministry of Education, Culture, Science and Technology, contributed to the official opening. Topics such as the impact of academic recognition, the key goals and relevance of the Rec-Mat project and the experience of Latin American higher education institutions on internationalization were addressed. In the same week, Rec-Mat partners gathered for an internal consortium meeting, presenting the latest developments of each work package. In addition to the forum's impact analysis, the last details about the training week in Valladolid (10-14 December) were finalized. The second Consortium Meeting of the Rec-Mat project took place on the 13, 15 and 16 November at the Pizzurno Palace, Buenos Aires. All partners were represented, and the discussion focused on the project’s implementation and management, as well as the organization of future activities. 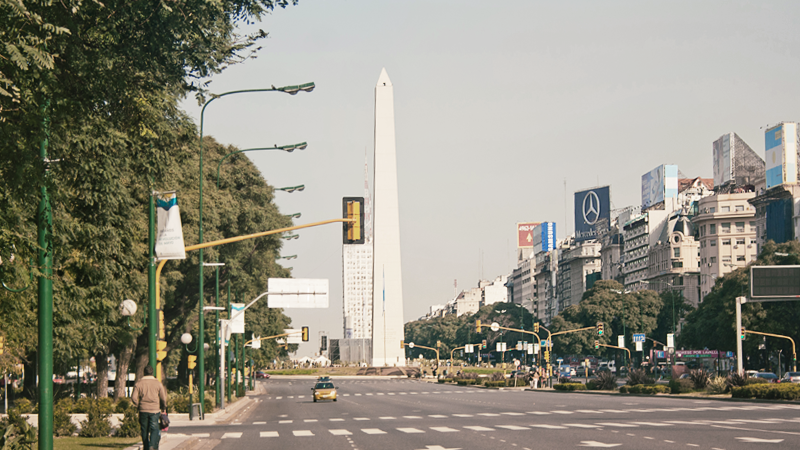 As an opportunity to prepare and analyse the results of the First Public Forum on Academic Recognition, the partners of the Rec-Mat project gathered in Buenos Aires, on the 13, 15 and 16 November. This was the second physical meeting of the consortium, following the kick off in Porto. The event took place at the Pizzurno Palace and counted on the participation of Maria de Lurdes Fernandes, Vice-Rector for Education, Academic Affairs and International Cooperation at the University of Porto. During this three-day meeting, partners had the opportunity to focus on specific working areas for the project, namely the execution of activities, policy-influences, training of teachers and the digital interactive compendium. 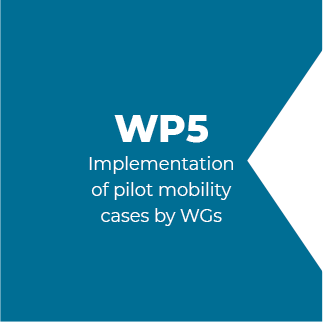 Furthermore, issues related with management and administration were addresses, as well as the implementation of pilot mobility cases, dissemination strategies and quality assurance. 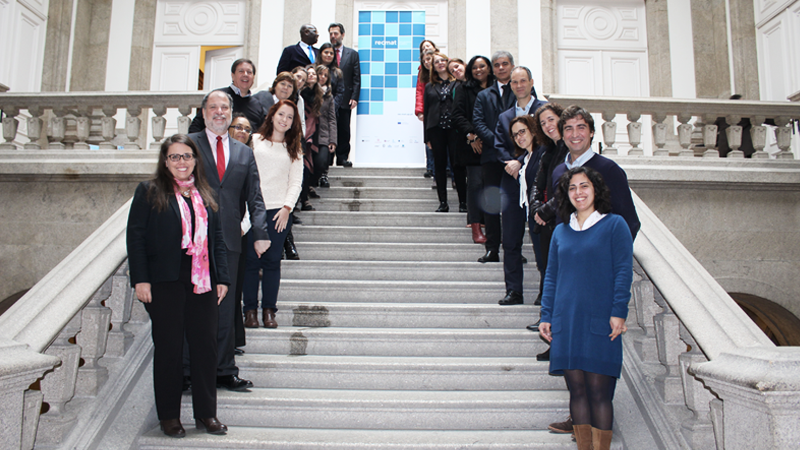 From the 6th to the 8th March, the University of Porto welcomed around 20 participants from European, Brazilian and Argentinian institutions to launch the "Rec-Mat: Recognition Matters" project. The kick-of meeting of the Rec-Mat project took place at the Rectory building of the University of Porto, just in the city centre, from the 6th to the 8th March. WP9: management (lead by UPorto). The social programme included a visit to the typical wine cellars from the northern region and a Port wine tasting. After the event, an evaluation survey was sent to the participants, gathering a positive feedback from different institutions. Rec-Mat will certainly represent the beginning of a fruitful collaboration, breaking barriers and stimulating cooperation between Europe and Latin America. On October 31st of 2017, a Cluster meeting of all the Capacity Building projects attended by the Higher Education Institutions of Argentina took place at the headquarters ISALUD University in Buenos Aires, Argentina. The purpose of this meeting, organized by the EACEA (Education, Audiovisual and Culture Executive Agency) was to create conditions so that Argentinian HEIs that are involved in Projects had the opportunity to meet. This was an event for the institutions’ representatives to get acquaintance to the work done by their peers. It aimed at enabling synergies to be generated, sharing knowledge and experience as well as the results obtained so far, both locally and nationally. Representatives of the Ministry of Education of Argentina and authorities related to the Erasmus + Program attended this meeting. The introduction by Eva Del Valle Casanova, EACEA Project Officer in Brussels, emphasized the role of consortia as a set of actors with shared responsibility and the importance of partners in project implementation; the relevance of the institutional commitments assumed and the role of local authorities as a basic condition for achieving positive results; the interest of students and their participation in these projects; the dissemination of the activities that must be done in the most transversal way possible. 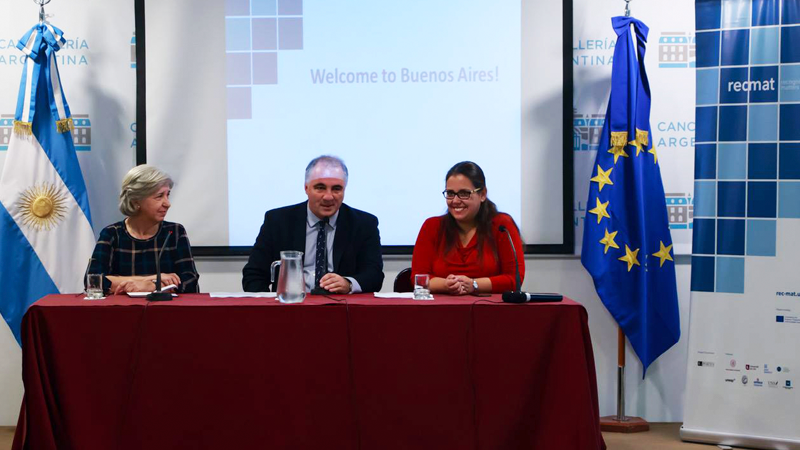 The presentations of all the participants demonstrated the impact of the Erasmus+ programme in Latin America, and also particularly in Argentina, especially in areas such as the internationalization of Higher Education Institutions and their link with the business sector. The discussions not only highlighted shared difficulties in terms of bureaucracy, capitalization of efforts from previous programs and recruitment of qualified human resources, but also demonstrated needs shared by all participants, such as a constant communication with the European Commission. Rec-Mat was represented by Sandra de la Calle, an officer from the International Office of the Universidad Nacional del Sur (UNS), Argentina. In the brief presentation of the project, the participants had the opportunity to get to know the Consortium and associated partners, as well as the project's objectives and expected results at the institution national (Argentina) level. MAIN GOAL: Ensure smooth daily management and swift communication between partners, as well as sound financial management throughout the project activities.